Colson, who was voted the ACC Preseason Player of the Year in October, earned his first ACC weekly honor of the 2017-18 season. 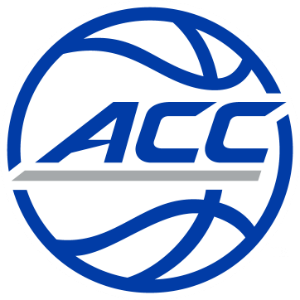 Carter was recognized as ACC Rookie of the Week for the second time. Colson led the Fighting Irish through two victories over Dartmouth and Southeastern Louisiana before the Christmas break. Against the Big Green, Colson exploded for a career-high 37 points (tied for the most by an ACC player in a single game this season) on 15-of-21 shooting, while adding 11 rebounds, three steals and two blocked shots. Following up against Southeastern Louisiana, Colson was on pace for another huge game until a bloody nose, suffered in a collision under the basket, sidelined him for 10 minutes of the first half. Colson was still able to post his eighth double-double of the season with 16 points, 10 rebounds and four blocks in 28 minutes of action. In addition to averaging 26.5 points, 10.5 rebounds and 3.0 blocked shots in Notre Dame’s two games, the steady senior from New Bedford, Massachusetts, shot a combined .618 from the floor (.556 from 3-point range). Duke’s Carter had a career night in just 18 minutes of action versus Evansville, logging collegiate highs in points (27), field goals (nine) and 3-pointers (four) in the Blue Devils’ 104-40 victory. Carter was 9-of-15 from the field, 4-of-7 from long range and knocked down all five free throws for his 27 points that led four Blue Devils in double figures. The 6-10 Atlanta native also had five rebounds to go with one assist and one blocked shot. Duke’s 64-point margin of victory was tied for the seventh-largest in school history, while Evansville’s 40 points marked the 10th time under head coach Mike Krzyzewski that an opponent scored 40 or fewer. For the season, Carter is one of five players on the Duke roster averaging double-figure points (13.7).